Would also make a PDS(purty drum smoker). Shiny! It's not the cars ya gotta watch for! I've been wanting to try something new, so 1# of Galaxy hops are on the way. The descriptions I've found sound intriguing. Gonna do an AIPA. Anyone with experience or suggestions? Washed yeast pitch gone bad. Please observe a moment of silence for the 24 lbs. of malt and 10 oz. of beautiful Centennial whole hops lost in this tragedy, my second contaminated batch in 11 yrs. and over 300 batches. Crap. In light of recent events, locally and the case after which this movement is named, I urge all interested to support it. IMO, the current deterrents are much too weak. Google Patrick's Law. Do what you feel is appropriate. Thanks to all. Went to restock on Chinook and they are out of leaf and limiting pellets to one lb. per order. Questions about the forum? / Server problems? From @allbacon on Twitter: Drink your bacon AND get a buzz! 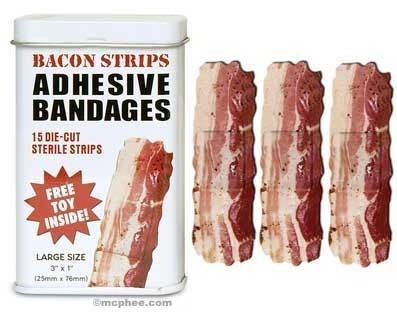 Get ya some of these for those inevitable brewing mishaps. What is the recommended fermentation schedule for this beer? Brewed it Fri and just happened to look at NB's kit for this beer and it recommends 1-2 wks. primary, 4 wks. secondary, dry hopping 1 wk. before packaging. I'd assume this is correct if Denny consulted on this. 10g on the line, so I want to be sure. Thanks.